Interests - Princesses, ballet, fairies, computer, colouring, glitter, anything girly. Enya had been under the weather for a long time (getting on for over a year). Her weakness and general well-being became worse over time. We were back and forth to the hospital with our concerns but never seemed to get any answers. Eventually she ended up in hospital with pneumonia; this seemed to be where the journey took a turn. 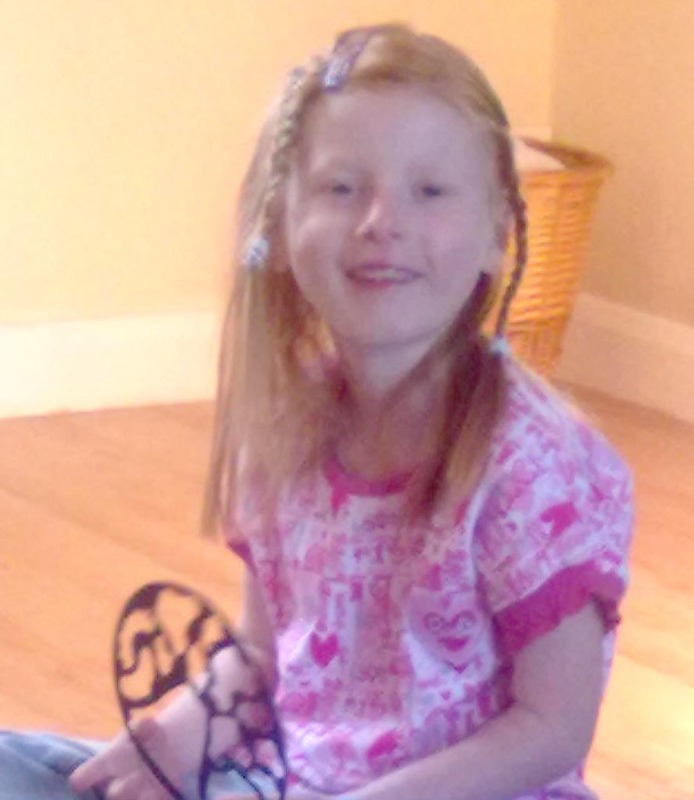 Enya was treated with antibiotics but left hospital no better. She seemed in so much pain and was unable to walk or even be touched. One evening whilst getting Enya ready for bed we noticed a lump that had appeared out of nowhere on her sternum. That afternoon we were rushed in for an ultrasound and the next day she was at another hospital for a biopsy. It all seemed to happen so quickly. The results of the biopsy a week later revealed that she had a rare haematological condition called Langerhans Cell Histiocytisis. At last we had some answers to why she had been so unwell but still we were very unaware of what the future held for Enya. After many scans we found that Enya had multifocal bone LCH, and had many lesions on the skull, neck and spine. Enya is now undergoing an intensive course of chemotherapy and steroid treatment to suppress the condition. We hope in the future she will regain quality of life and be allowed to be free from disease. Enya has had a tough year and all the post she has received has certainly made her smile and helped with the days she wasn’t feeling her best. Post Pals brightened her day so thank you everyone so much. Enya has currently finished her chemo treatment and although she may not be completely out of the woods, her future is very much more positive. Can I now request that post is sent to those who need a bit more TLC. Thank you all again. I will keep everyone updated with Enya’s progress in 2011. Enya is doing extremely well with her treatment, she currently has 2 more sessions of chemo and steroid treatment, and then she will be reviewed. She will need another MRI over Christmas time to see how the lesions on her spine and skull have reacted to the treatment. What treatment is needed next will depend on the results. She has managed so well and the post she has been getting really has brightened up her day and put a big smile on her face. I can’t thank Post Pals enough for what they have done for her.